The Secret Life Of Pets may follow the same premise as Toy Story, but it still makes way for a lucrative franchise. And now there’s a sequel. The new film isn’t due out in theaters for a while, but Universal and Illumination have been releasing character trailers to promote the sequel. 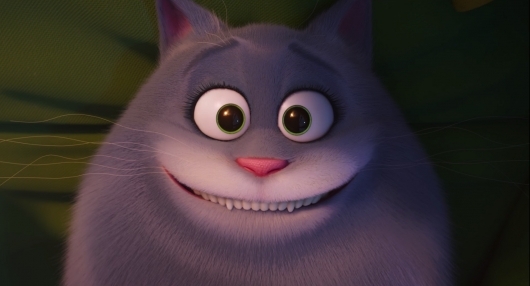 Check out The Secret Life Of Pets 2 trailer for Chloe here below. The trailer sees Chloe (Lake Bell) trying to get her owner’s attention by any means necessary. Whether it’s tapping her face, or shaking it. Nothing seems to work. That is until Chloe coughs up a hairball. And we get to see the side effects of catnip. Voice talents include Patton Oswald, Dana Carvey, Garth Jennings, Ellie Kemper, Bobby Moynihan, and Eric Stonestreet. Newcomers to the franchise include Tiffany Haddish, Nick Kroll, Pete Holmes, and Harrison Ford. Oswald steps in to voice the role of Max, who was originally voiced by Louis C.K. who was subsequently let go due to sexual misconduct allegations. The first Secret Life Of Pets grossed $875 million worldwide. And based on how well that did, the sequel could end up doing better. Written by Brian Lynch (Minions) and helmed by returning director Chris Renaud, The Secret Life of Pets 2 opens in theaters on June 7, 2019.